​Lily Cha was brought up in a strong Christian home. Her father would often share Bible stories when she and her siblings were young. She enjoyed learning and growing from God's Word and now wants to extend the same opportunity for other children to hear Bible stories from a young age. At age twelve, Lily came to know Christ at a church youth retreat. Right after trusting Christ as her Savior and Lord, she received great peace (John 14:27). She is very grateful for the abundant life she can have in the Lord. In college, she received her teaching degree and became an elementary school teacher. She taught for several years before attending Biblical Theological Seminary in Hatfield, PA where she received a Master's in Christian Counseling. Upon completion of her schooling in the summer of 2002, she returned home to Virginia and served at her home church, Open Door Presbyterian Church in Herndon, Virginia as a children's ministry pastor for several years. During this time, she also was a school teacher in a Fairfax County public school. 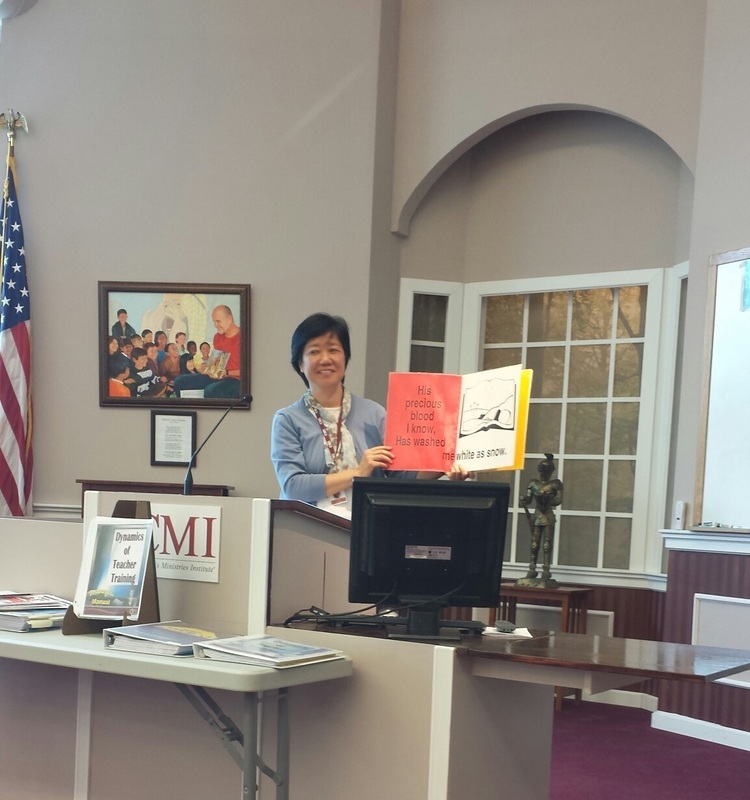 With God's help, Lily completed a 12-week intensive training program of CMI (Children Ministries Institute) at CEF International Headquarter in Warrenton, Missouri in the spring of 2016. She considered it one of the best Bible training she has received. Currently, she is training Sunday School teachers in this area and wants to strengthen the churches and their children's program for not just Korean but also Chinese, Hispanic, and other ethnic immigrant churches. In the summer, Lily will be training Good News Club volunteers before the upcoming school year.